Tenderbest had been a uniquely Singaporean brand all these years; having been a household name for fried chicken that started off in coffeeshop stalls, the name had since ventured into casual eateries within shopping malls, and now operating their very own bistro in an industrial building. 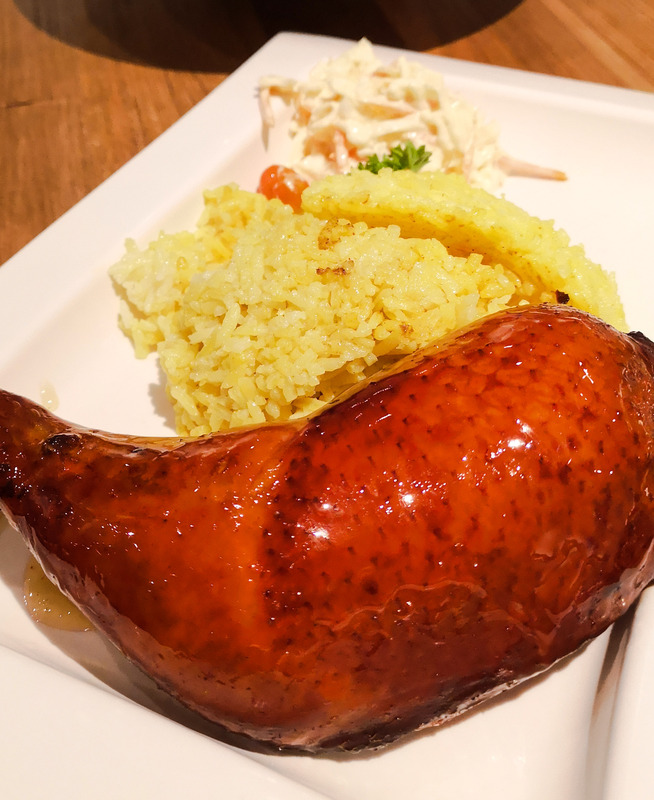 We have had written about Tenderfresh Classic a while ago when the brand first expanded into their very first bistro along Cheong Chin Nam at Bukit Timah. Since then, Tenderfresh Classic had opened a number of outlets in shopping malls all across Singapore. Tenderbest Makcik Tuckshop is a new beginning for the brand, however; being known as a brand for a casual, quick dining option that is budget-friendly, Tenderbest Makcik Tuckshop is the extension to what Tenderfresh/Tenderbest had built over the years. Surprisingly located at an industrial building in Woodlands off the beaten path, Tenderbest Makcick Tuckshop is a short walk away from the nearest bus stop hidden away from the main roads of the town. That being said, one look at the shopfront and one immediately recognises the difference; the interior strays away from the usual red and black colour scheme often found in their stalls; instead, Tenderbest Makcik Tuckshop is decorated in a more spacious, hipster, chic and a little formal than the usual Tenderfresh Classic outlets, seemingly targetting yuppies instead of students whilst keeping prices affordable at the same time. 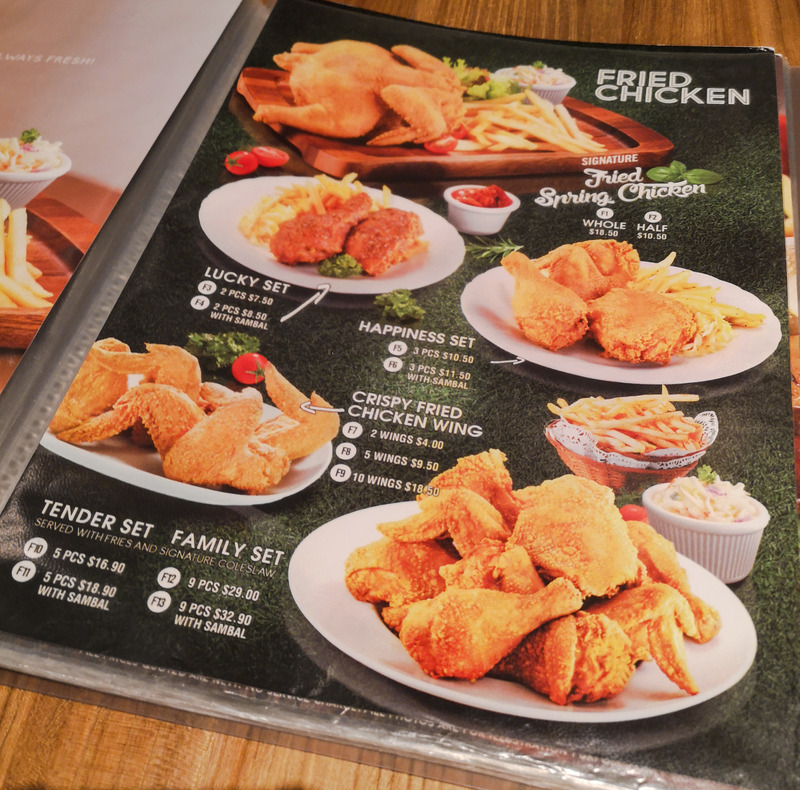 Flipping through the menu of Tenderbest Makcik Tuckshop, the menu reveals many classic dishes available at other Tenderbest/Tenderfresh locations amongst other seemingly new items, though photos of the food items are noticeably more well-composed than the other brands. 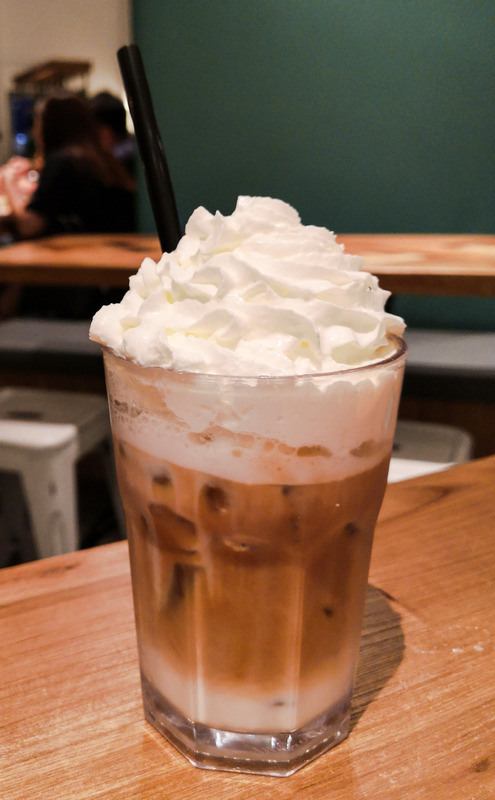 One would also notice the extensive list of beverages and desserts available at Tenderbest Makcik Tuckshop; a number being exclusive to Tenderbest Makcik Tuckshop such as specialty coffee, macchiato as well as desserts and mocktails. It is also worth noting that Tenderbest Makcik Tuckshop is also halal-certified, which adds as a dining option for the Muslim community in the area. A classic item available at Tenderfresh/Tenderbest outlets, the Leg of Beauty Rice features a whole roasted chicken leg served with signature coleslaw and yellow coloured rice. The roasted chicken leg is all familiar with its browned skin; all tender and succulent within with a hint of smokiness amidst the savoury notes of the skin, pairing well with their signature rice which comes across as a buttery and garlicky version of the local Hainanese Chicken Rice that is undoubtedly fragrant and great on its own. Coleslaw comes all creamy and not overly milky; served cold and carried a refreshing crunch that cuts through the carbs and meatiness of the dish. A classic item (alongside their fried chicken) that just does not grow old. We also had the Laksa Prawn Spaghetti; an item off their Asian Fusion Pasta section of the menu. 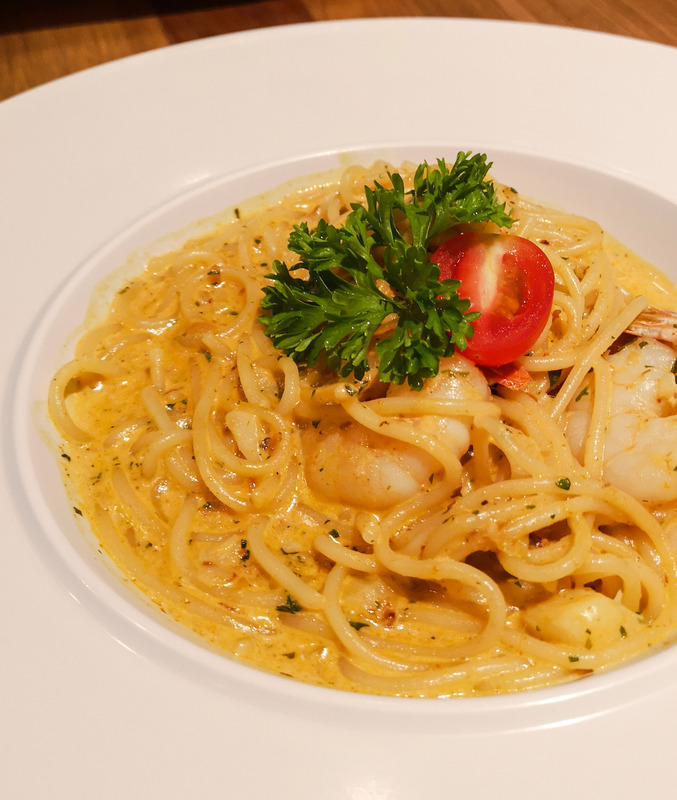 Tossed in a creamy, Laksa-infused sauce, the Laksa Prawn Spaghetti replicates the flavours of the original Laksa to a tee with familiar notes of the rempah spices used whilst being rich and creamy, while coming with a spicy kick which should work fine for those who can take moderate levels of spiciness. The pasta was done al-dente, while the dish also came with a good portion of prawns; all of which being fresh and giving a considerable bite. 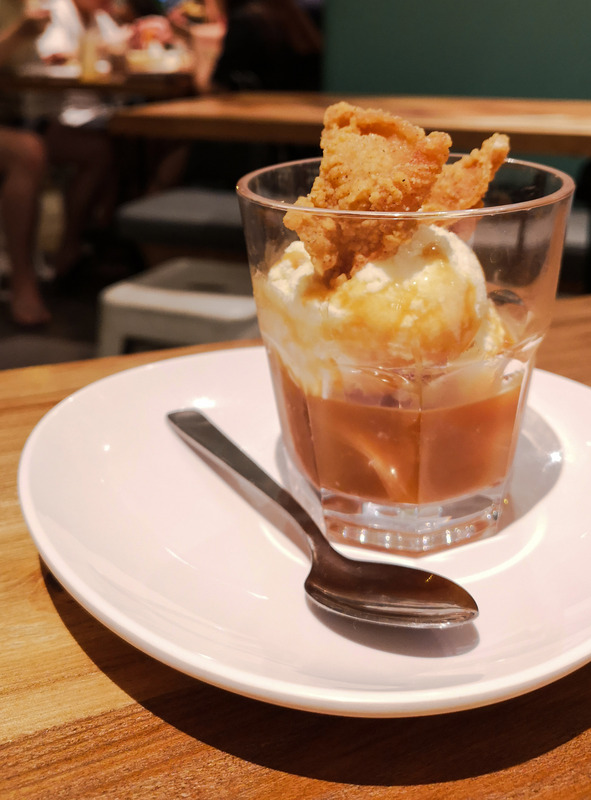 An item which intrigued us while we skimmed through the menu was the Fried Chicken Caramel dessert; an affogato-esque item that came with a specially concocted caramel (featuring elements such as chicken stock, spices, and caramel), vanilla ice-cream, and fried chicken skin over the top. A rather interesting combination, the caramel seemingly felt like any other caramel; thick, dense and sweet, though not overly so, matching the vanilla ice-cream well, while the ice-cream, though generic, seemingly fit the dessert’s price point. The fried chicken skin helped to add texture and a savoury note, achieving a sweet and savoury combination of flavours akin to dipping fries into vanilla soft-serve, whilst adding crispness to the dessert. Noticing that they have specialty coffee on the menu, we went for our usual cuppa. The Flat White, despite being illustrated otherwise in their social media posts, came without latte art. The cuppa was a little disappointing; a little too frothy whilst also feeling a tad burnt with a distinct acidity lingering in its aftertaste — still pretty cheap at $3.50 though. While the Flat White was less than impressive, they seemingly do very well with the Macchiato offerings. 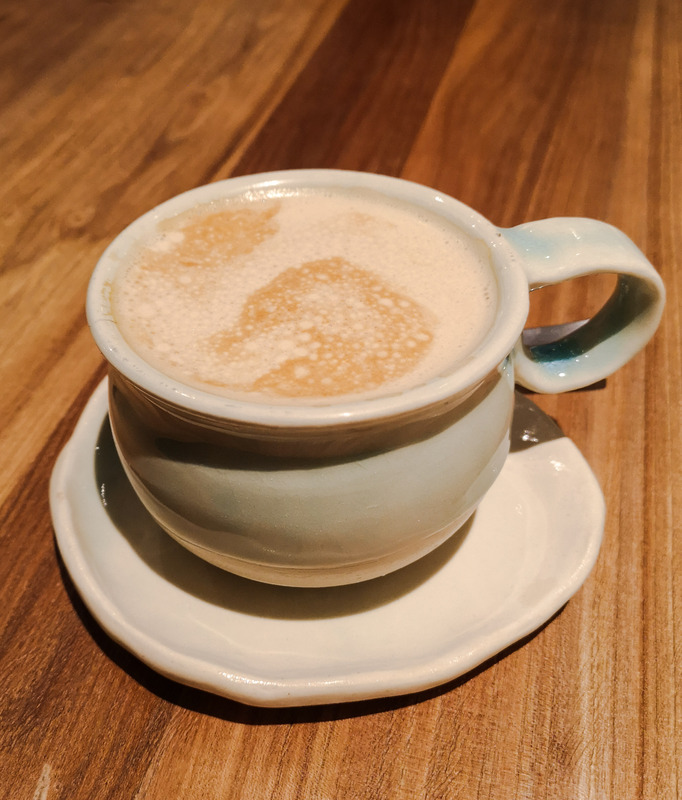 Serving their Macchiato in a similar style to that of Starbucks Coffee, the French Vanilla Macchiato comes with a good balance of vanilla syrup and coffee — not overly sweet, whilst topped with whipped cream over the top. A crowd-pleaser done right. It is really interesting to see how Tenderbest/Tenderfresh had grown as a brand over the years. A locally born and bred name, it is no doubt that they had become a household name synonymous with fried chicken. That being said, the opening of Tenderbest Makcik Tuckshop shows the brand’s ambition; to move away from the image of being a student’s hangout and that of a coffeeshop stall into a full-fledged bistro with unique offerings that showcases the brand’s creativity and innovations. Straying away from simply serving up fried chicken, they had gone a long way with the addition of roasted chicken and pasta on the menu; the introduction of specially created concoctions and desserts is yet another milestone for the brand itself. 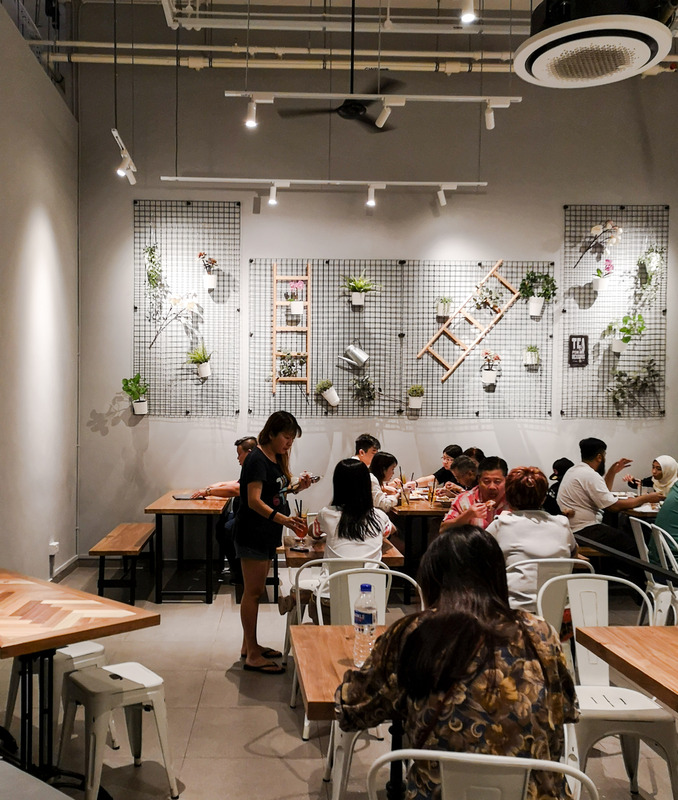 Situated in an obscure corner in Woodlands, the location may be a little inaccessible for some especially those who live in other parts of Singapore, but it certainly is an interesting addition to the dining scene in Singapore, especially for how it caters for the Muslim community in that neighbourhood. Sure, the other locations that the brand has may still be more convenient for most to solve their Tenderbest/Tenderfresh cravings, but Tenderbest Makcik Tuckshop does provide a new experience to familiar flavours — a concept that we would most likely see more of in the future.